Over the hill and through the woods… isn’t that the theme for Thanksgiving meals? While I have hosted most Thanksgiving dinners at my house since I have been married, we have been invited to a friend’s house for the last two years. While I miss the full turkey dinner preparations, I am thrilled to spend time with friends and give my kitchen a break. Not a complete break, however, as I will be bringing some treats along! Since I like having fun with food, I sometimes feel limited because I cannot easily transport it to a party. 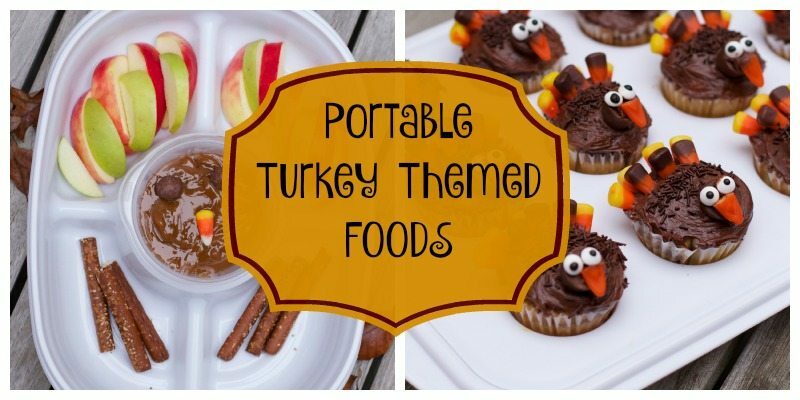 Thanks to these new Rubbermaid Party Platters, I can still make festive Thanksgiving desserts and take them with me to my final Thanksgiving destination. We all know that dips are so popular for both Thanksgiving and Game Day tailgates. 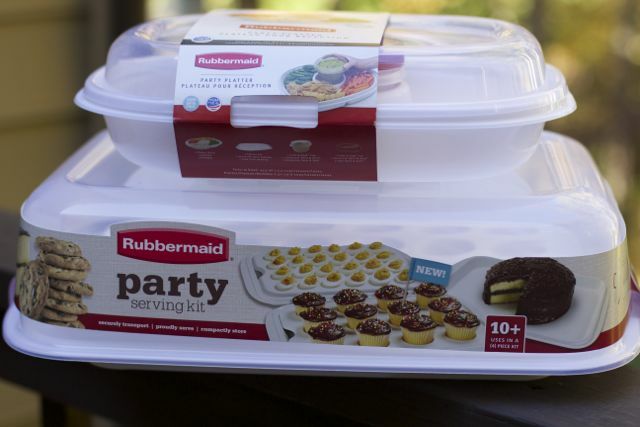 The new Rubbermaid Party Platters come to the rescue. With separate sections for all your dippers and a special container to hold your dip, you no longer have to search for the perfect-sized container to fit in with your dippers, nor will you accidentally leave the dip you packed in a separate container in your fridge. Only Rubbermaid food storage containers are designed to be easy to find, easy to use and to keep food fresh longer. 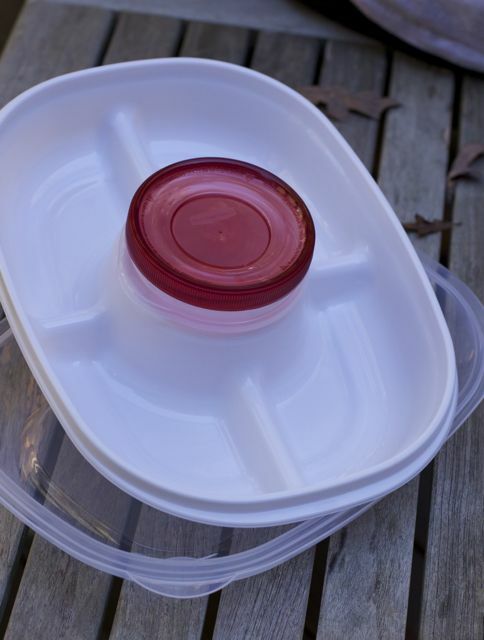 What I love best about these two new Rubbermaid party platters is that they are 100% BPA free. They’re also microwave, dishwasher and freezer safe. The Rubbermaid® Party Platter is a lightweight two-in-one food storage container designed for entertaining at home or taking to an event. The large divided base separates different types of food, while a smaller leak-proof Twist & Seal™ inner container holds the dip while nesting snuggly into the base. Each container comes with a secure lid that creates a tight seal and allows for safe and easy transportation. 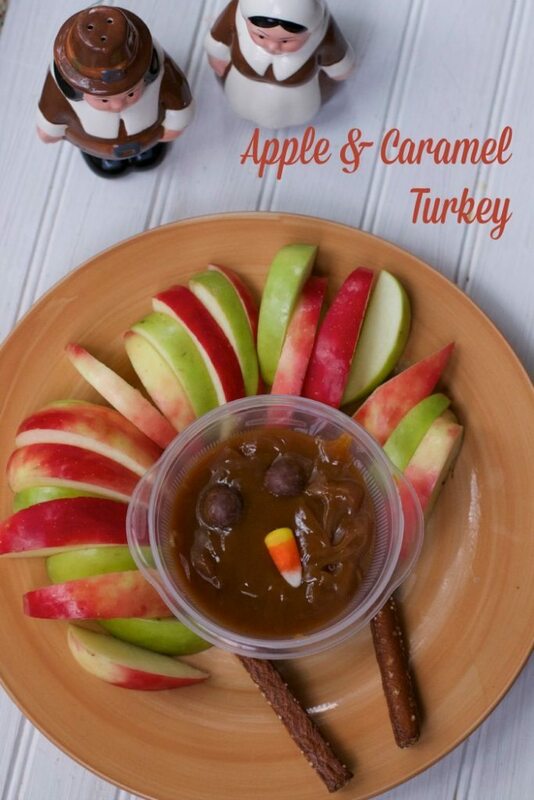 This Caramel Apple Turkey will be a big hit this year. I love how you can place all of your ingredients in the Party Platter to serve as is. 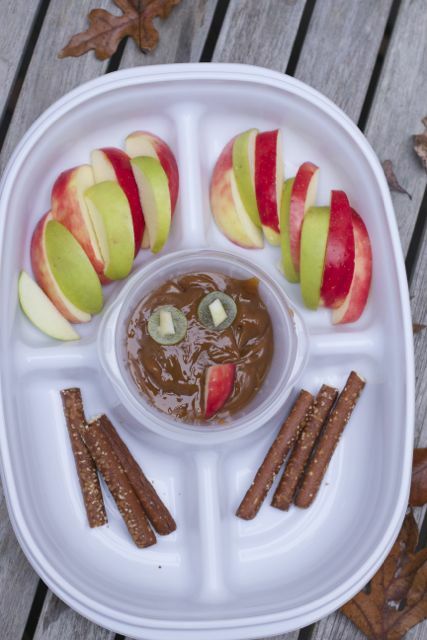 You can also unpack your platter when you arrive, setting up your caramel Turkey dip on a serving dish. We used the same dip bowl! 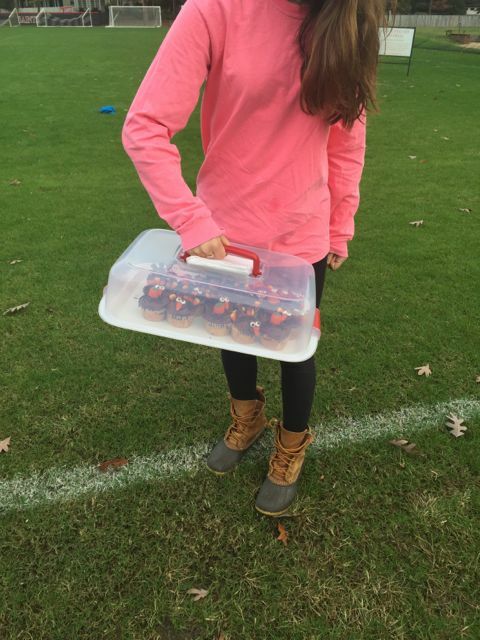 My daughter recently broke my cupcake carrier, so I was thrilled to find even a better one. 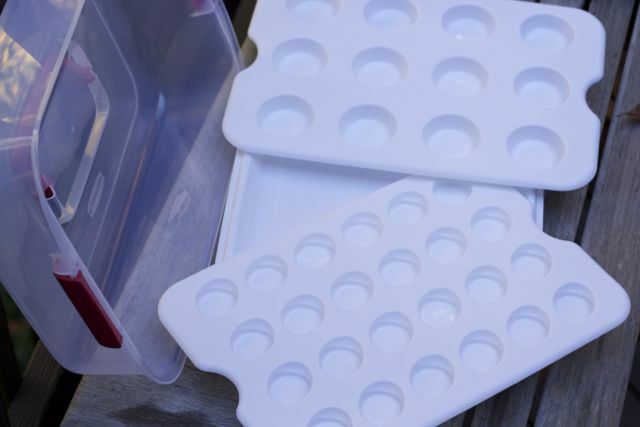 The Party Serving Kit features two inserts and one base. This came in handy when making these Turkey Cupcakes. Here is the finished product. 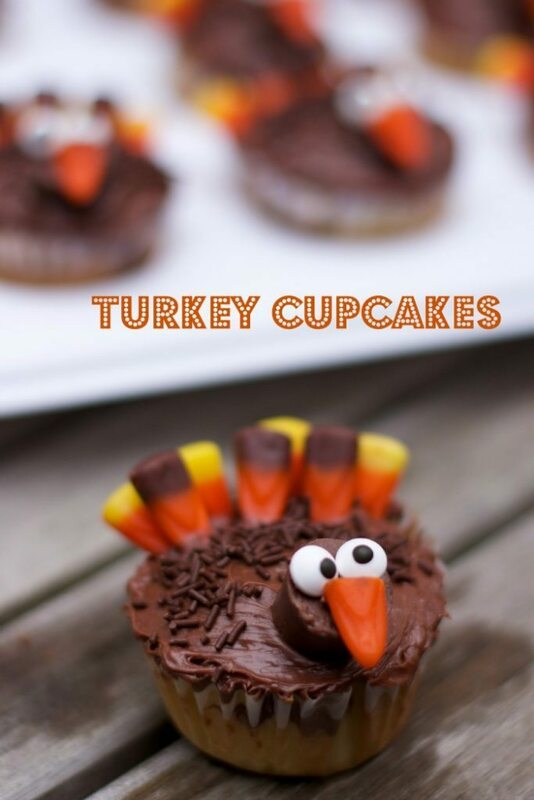 Let’s get started learning how to make these fun turkey cupcakes for Thanksgiving. Here is a side view to see the dimensions of this cupcake.Here is a side view to see the dimensions of this cupcake carrier. If making regular size cupcakes, you can decorate them in place without worrying about them bumping into each other. Don’t you hate when your cupcakes bump into each other and the frosting falls off? 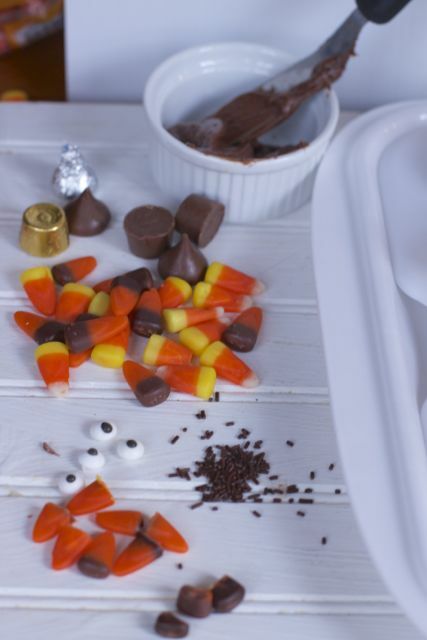 You will need Rolos or chocolate kisses, Harvest Mix Candy corn, edible eyes, brown sprinkles and chocolate frosting. See? All my little turkeys are safely placed in their spot. 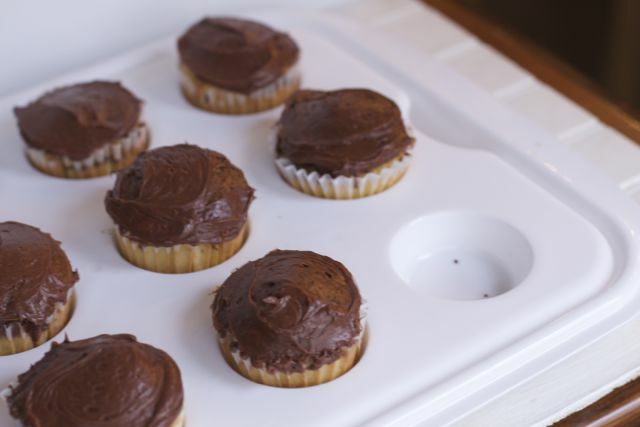 If you need to make more than 12 cupcakes, simply place them on the bottom layer and serve your cupcakes from there. Now, you can safely carry your baked goods to your Thanksgiving party! 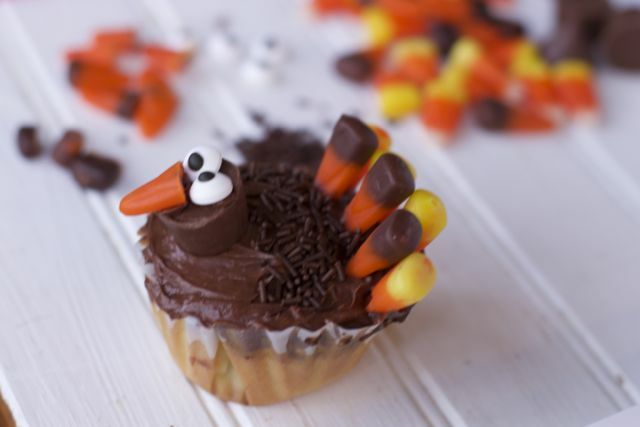 Be sure to check out this video of the step-by-step creation of these adorable Thanksgiving Turkey Cupcakes. 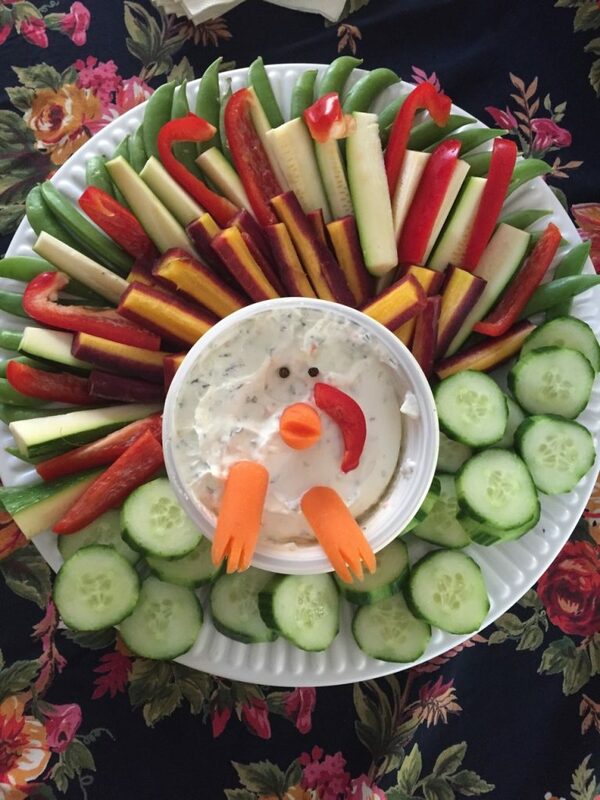 Also pack up veggies to make this fun Thanksgiving Turkey Veggie Tray. Which Rubbermaid Platter would you use this Thanksgiving to transport your Thanksgiving Desserts? That’s clever and those cupcakes are adorable. I love the cupcakes! So cute and the platters seriously are such a great idea for mess-freely transporting the goodies! 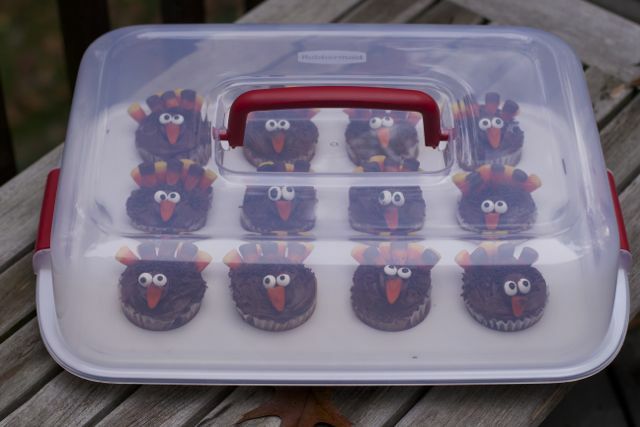 I think the turkey cupcakes are incredibly cute – I just love the decoration. I really need to carve out some time to make creative sweets. Cute ideas! I love Rubbermaid products. 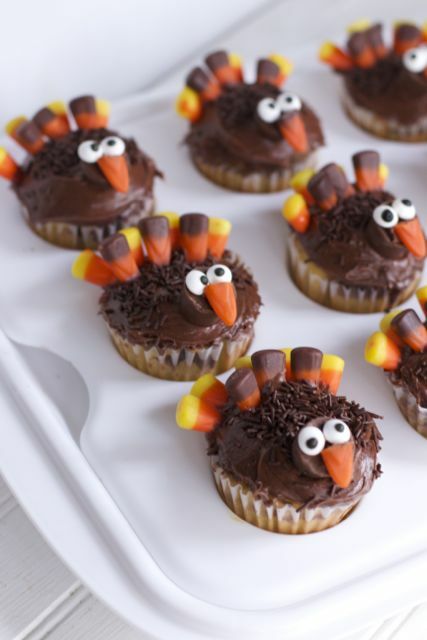 Great ideas for thanksgiving desserts, the cupcakes are so cute! Love them! 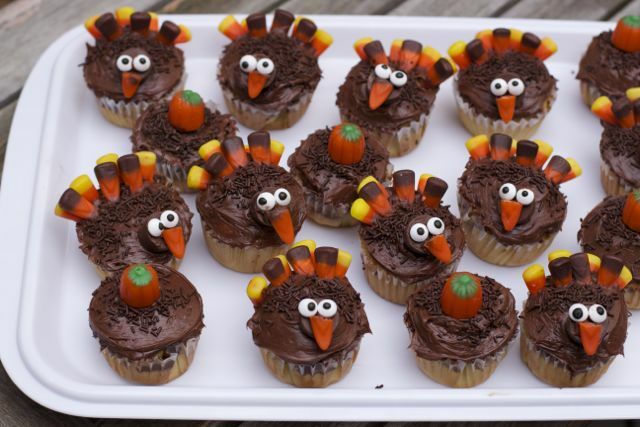 Oh, the turkey cupcakes are adorable! My kids will gobble them up quickly.